I must first clarify that I didn't expect the colour to turn out to be that red, because I didn't want to have red hair (was thinking of dark maroon) but I don't know why after dyeing, it turns out to be so red omg! I was pretty shocked by the outcome of the final colour, when they wash away the dye! 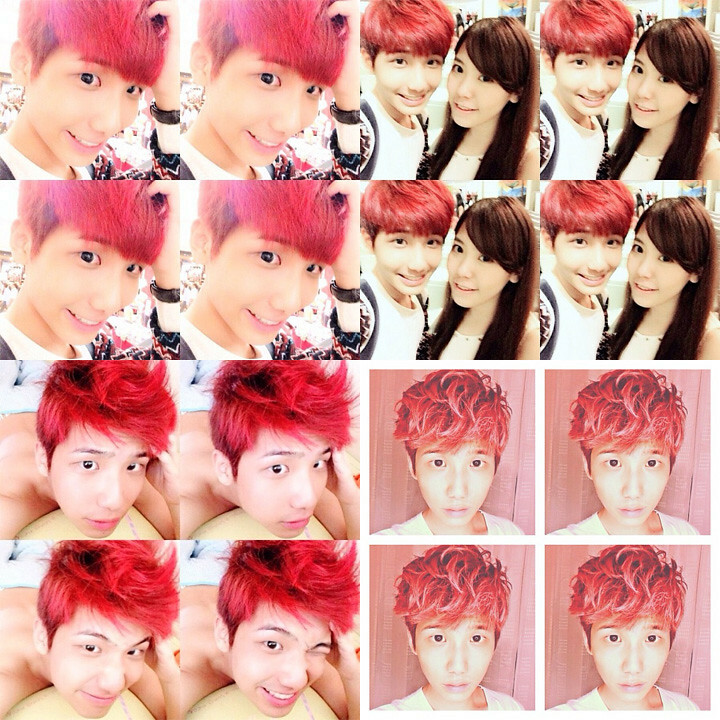 Anyway for this red hair, I just randomly went to do it over at some neighbourhood salon together with Zj! Hahaha! 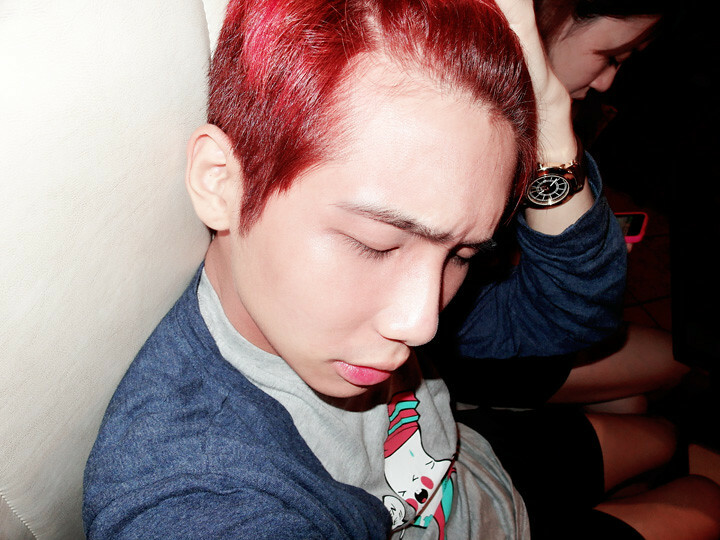 But my red hair was pretty short-lived (for less than 2 weeks? ), cause after that I got really sick of it and went to tone down the colour to darker shade with henna dye, which I'll blog about it next time! 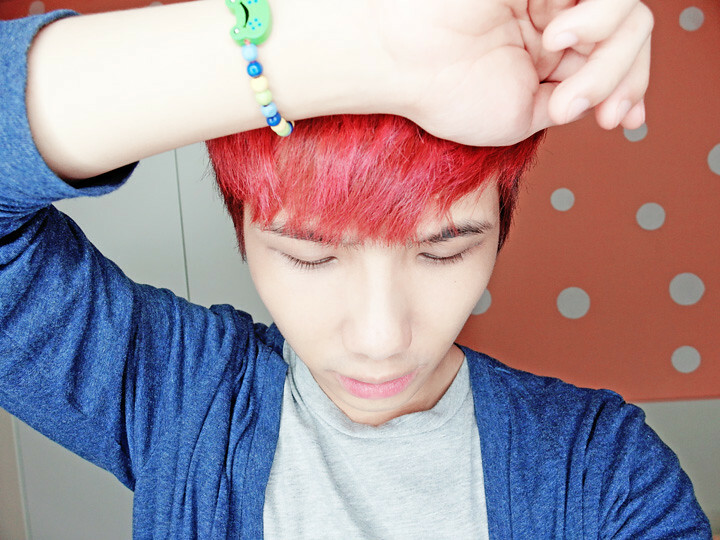 Picture of me with my red hair after I just dyed it! 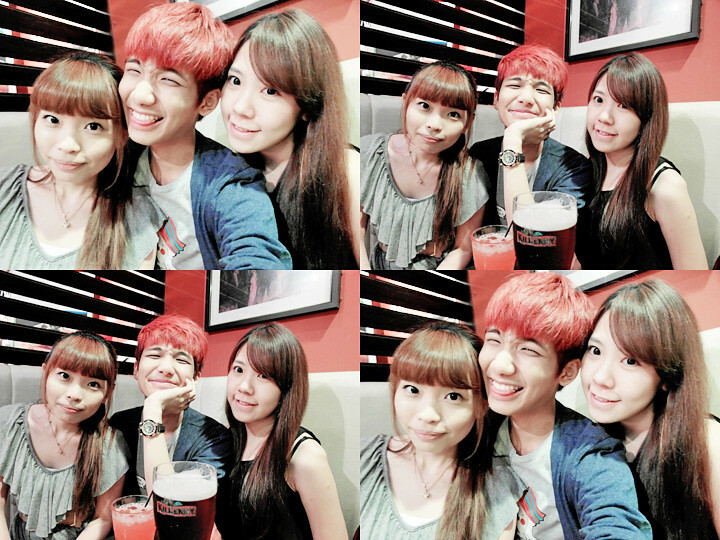 An impromptu chill session with Angie, Ting and Zj over at Harry's Bar the other day! 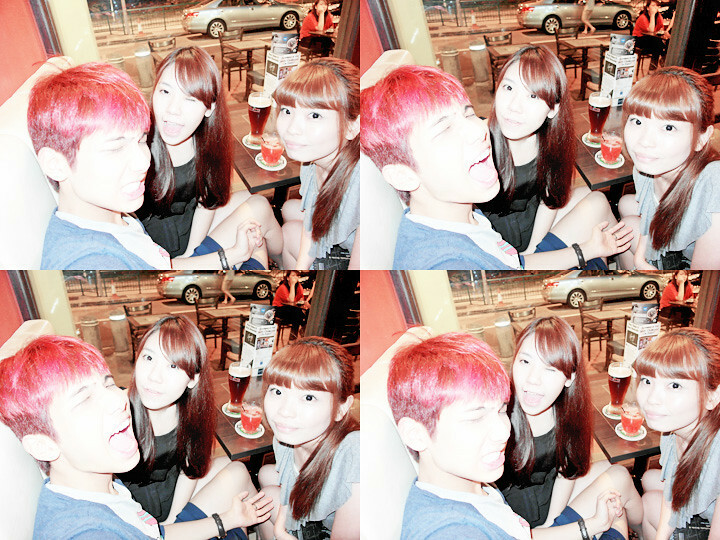 Another one with flash while waiting for Zj to come! 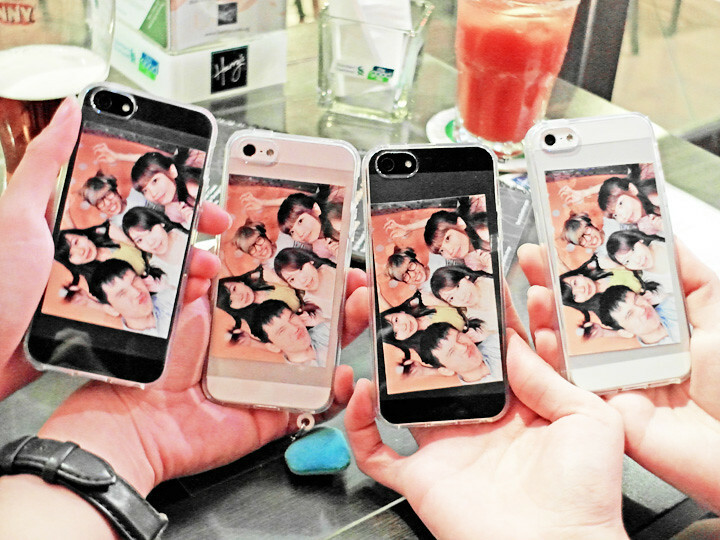 Anyway our same Fingers bff's iPhone case! Minus Kx cause she couldn't make it that day! Nah show you guys my forehead lol!